Golf management is much more complex than many people realize. Business patterns can be every bit as dynamic as those found in the airline, hospitality and retail industries. On top of all this is the fact that the centerpiece of the business is not a typical real estate asset. It’s organic, metamorphic, and has high attention needs…like a 2-year old that never grows up. Sunrise Golf offers a full suite of management services, including administration, human resources, golf operations, golf maintenance, food & beverage, capital planning, marketing, training, technology implementation and more. We also recognize that a given golf course may not need the full suite, so we’re able to offer tailored solutions. In any case, our formula is to have the right systems, the right people, and a strategic plan that fits the course profile – as opposed to trying to make the course fit into a blanket strategic plan. This way the efforts go into building the brand equity of the course, not the management company that runs it. At the same time, you want a partner who can leverage resources, relationships and purchasing power so that you get the most out of the significant capital investment you make in your golf course. Throughout our careers we have been fortunate to have developed strong relationships with a multitude of people across the golf industry spectrum. Simply stated, this means we know who to rely on for solutions and competitive pricing, and who to recruit for key course-level management positions. We started as a consulting company, and this discipline will always be part of the fabric of who we are and what we do. During our tenure with large management companies and to this day, we’ve built a reputation as troubleshooters. From the outset, our primary mission has been to help golf courses improve performance amid an increasingly challenging landscape. We have personally been involved with hundreds of golf courses – many in Southern California – ranging from 9-hole municipal courses to some of the most renowned resort and private clubs in the country. Our client history comprises a variety of ownership profiles, including municipalities, private equity firms, and publicly traded investment companies. There are very few challenges that we have not seen or solved, or best practices that we have not implemented. 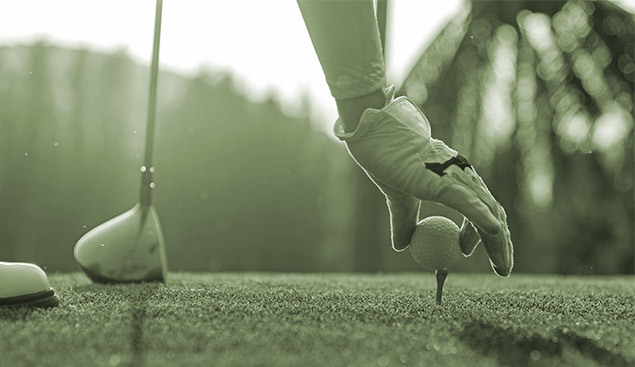 Unlike some firms that are primarily data clearinghouses relying heavily on national statistics, our team is comprised of seasoned operators who have real-time knowledge of the challenges facing the golf industry, as well as on-the-job experience with the many positions that comprise a golf operation. While we have access to National Golf Foundation data as well as regional golf and demographic data, we also know that gaining a true understanding of the dynamics of a complex business like a golf course requires both statistical analysis and time on property talking to guests and employees. Our team is among the very best at not only conducting a forensic analysis of a property’s performance, but also gathering and sifting through anecdotal evidence and human instinct. Combining these dynamics yields the most relevant findings and conclusions, but we do not stop with telling you what needs to be fixed. We have the depth of experience to offer fully executable solutions to close performance gaps and improve profitability. In today’s socially networked world, traditional media is still relevant and you need to be search-friendly, but the chatter is taking over. More and more a brand is defined by what people say about you not just to their friends, but to people they don’t even know as they post on Trip Advisor, Yelp, and any number of such platforms. These channels also provide the most honest, transparent feedback you could ever ask for. It’s scary, but at the same time it’s much more revealing as to how you’re perceived than simply asking guests if they’ve had a nice day. So for us, marketing is the alignment of the brand promise and operational execution. It’s a closed loop process: Define your brand promise > train your team > tell people > execute > listen to guest feedback via internal and external channels > repeat. As for telling a story, we love creating angles and weaving them into the presentation of the brand. Every golf course can show a pretty picture of a green, a bunker and a water feature, but it’s what surrounds the golf experience that gets you noticed amid the clutter. Finally, we are big believers in developing and leveraging partnerships at the local level. National marketing platforms are alluring, but a dollar in your backyard goes a lot further than a dollar in another state. The same goes for relationships, and we know we’ve succeeded when other people’s marketing budgets are helping drive traffic to your golf course. If you’ve taken time to navigate our site all the way to this page, this is where we can tell you that we’re kind of geeks. In all seriousness, the technology movement that is flooding the golf industry is overwhelming. In many cases the ulterior motive of these digital white knights is to leverage your brand to make a buck, and leave you with a mess to clean up. We ask the right questions and have enough experience with a wide array of technology platforms to not only differentiate between good and evil, but also to help you leverage your technology in a way that’s both effective and executable by your frontline staff. Whether it’s a POS system, a reservation engine, CRM software or a digital platform, our technology is every bit as robust as anyone else’s. The difference is that we take the extra step to customize our systems in a way that’s most relevant for a particular course, and ensure that they yield data that can be used to make informed, real-time business decisions.